I f your looking for traditional, you’ve just taken a wrong turn. The author wanted to write a book that anglers and non-anglers could enjoy in equal measure, something beyond the norm – a lyrical ride that is capable of bouncing images around like a song and that carries a palpable sense of pace and rhythm. Most importantly he wanted to convey the thrill of fishing, the humour, the anticipation and of boundless optimism – all while exploring rivers and enjoying the outdoors. We all fight our small daily battles to find space and time to do what we truly enjoy, so I hope the reader can empathise with the books characters, situations and add their own meaning to the text. This story is about fighting for the joy of simple pleasures, coupled with lots of humour and colourful characters – while touching on topics as diverse as contests, superstition, time travel, metamorphoses, music, begging letters and exploring the triumphs and disasters of an average angler from the opening day of the season to its last – a journey that will take me from the bosom of the Ribble to the Aberdeenshire Dee, and a concerned human resources department. All while trying to outrun any form of real life and simultaneously avoiding becoming a walking nervous breakdown. So far the book has been called a small landmark in angling literature, funny every page and an idiosyncratic joy. Its been a real pleasure to write this book and I hope that the reader finds it a warm hearted, holistic reading experience that they will want to share with a smile. Author bio: James Gilbraith is forty seven years old and has enjoyed fishing for thirty six years. He enjoys all methods of angling, as a boy he fished the canals and ponds around Blackburn, Lancashire. 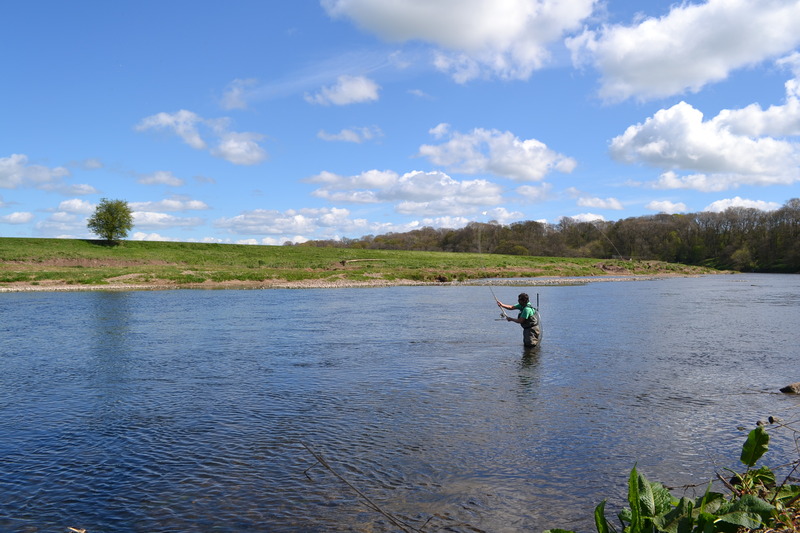 Bitten by the salmon bug in his twenties he now fishes for them whenever he can – that’s not to say that you wont catch him lurking for a ribble barbel, grayling or for that matter any other fish ! He is a contributor for Fallons Angler and Eat Sleep Fish. James is also the honorary secretary for Ribblesdale Anglers Association. James lives with his family in Clitheroe, Lancashire and is currently writing a follow up to Terminal Chancer – which he hopes will be published on the 1st November 2016. However – as every school report he ever received stated – he remains easily distracted.